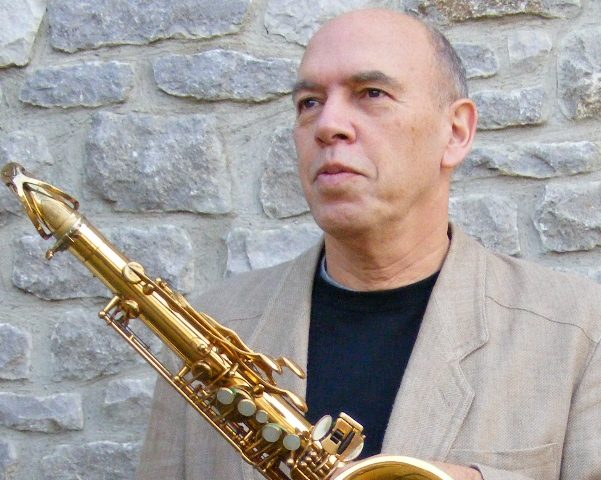 Steve Salfield : tenor and soprano saxophones. Steve plays saxophone regularly with his modern jazz groups – Steve Salfield Quartet, Trio and Duo and occasionally with other jazz groups. He plays sax with the rock’n’roll band Back Seat Jivers which specialises in early rock’n’roll from the 1950’s and early 60’s, blues and swing. Steve feels his playing has been influenced by the very many musical experiences he has had. He has been playing since his teens and has played in many jazz and rock bands with some wonderful musicians and has played in classical orchestras on flute. He has occasionally played traditional music with musicians in Bali, India, and the Caribbean. He listens to many of the great jazz players from the time of Lester Young and Coleman Hawkins to the current or recent such as Michael Brecker and Joshua Redman. He also loves the music of Bill Frisell, The Bad Plus, Leonard Cohen, Tom Waits and so many others. Steve’s musical interests include much classical and world music. He has studied with many of the great UK jazz musicians. Steve is very enthusiastic about the Jet Collective and the new musical ideas that are growing in the group. He has contributed ideas for new music, and for activities that the group may undertake in future.